As a teacher, one of the things that comes up the most is the desire for more speed and power in the golf swing. More distance! I was once told that Russian sprinters employed a simple technique as part of their training: Run uphill to get stronger and run downhill to get faster. It was so simple and it made a lot of sense to me. 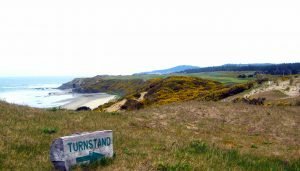 I never checked to see if it was true, but I integrated it into my way of helping golfers gain distance. There are three training aids I use to accomplish to accomplish this. One is a golf club turned upside down so it's as light as it gets. Just like running downhill. Another training aid I use is the Power Fan. With its “wings” on, it resists against the air. 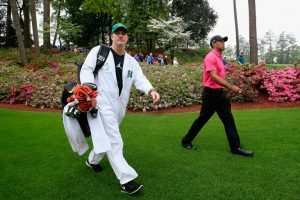 This forces the golfer to “run uphill” to swing against resistance, which in turn makes him or her stronger and more powerful because of swinging against the resistance. Another training aid that I use is the Speed Stik. This one is slightly heavier and slightly longer than a golf club, and it’s got a club head speed gauge on one end. What I have found with the Speed Stik is that it helps a golfer get stronger, but also allows him to see if his clubhead speed is improving. So, on to the drills. The first one I want you to try is the “swoosh” drill, the one with the club turned upside down. 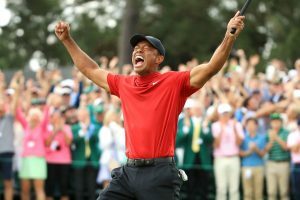 I saw this for the first time in a magazine article where Tom Watson revealed his “5 Keys to Power.” In Photos 1-5 I’m employing this technique to dial in my speed and timing. You take your driver, turn it upside down and hold the club by the clubhead end. 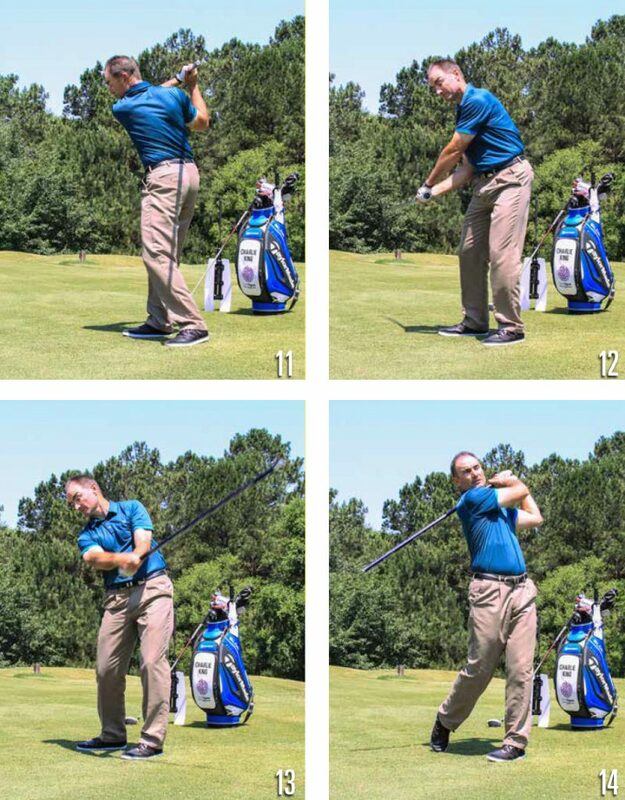 Then make a wide backswing with full wrist hinge. 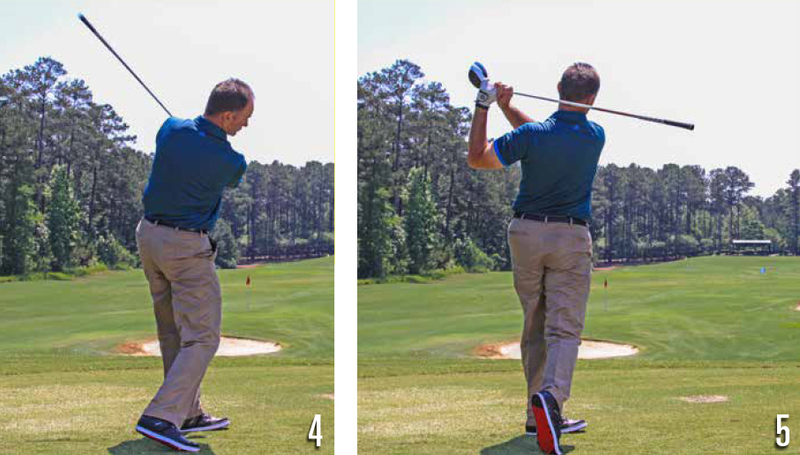 On the downswing, try to make the “swoosh” sound be as loud as you can make it. A couple of keys are to keep the wrist angle until late in the downswing and rehinge and fold the left elbow after impact. 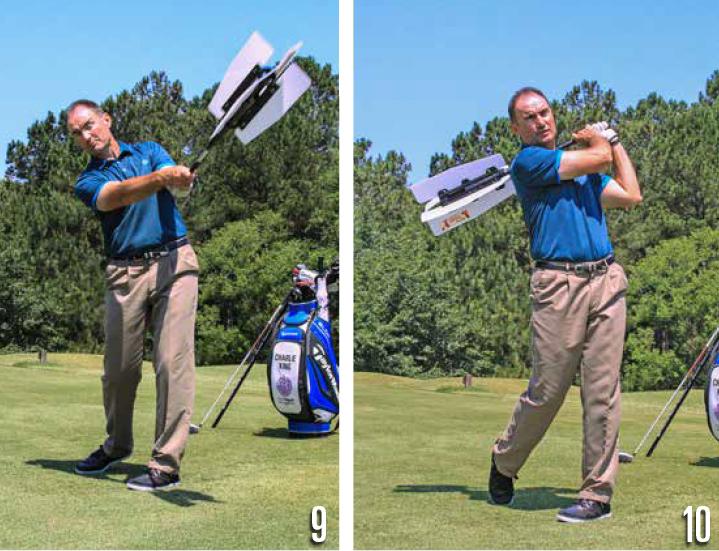 It’s a great drill to show you the blend between the body and the arms, hands and wrists for creating clubhead speed. The second drill involves the Power Fan. This one is very straight forward. You grip the Power Fan normally and get in your golf stance. As you take the training aid back, you won’t feel much resistance. But when you make the forward swing, you will feel yourself pulling to get the Power Fan to move through the resistance of the air. This strengthens your muscles for swinging a golf club. Make sure to swing the opposite way (a right handed golfer swings like a lefty) to avoid muscle imbalance of only swing one direction. Photos 6-10 show the “fan” in action. The third drill involves — you guessed it — the Speed Stik. This long, heavy training aid has the same principle of the muscles adapting to a heavier object and becoming stronger and more explosive. Once you grip the Speed Stik, hover it about a foot above the ground. Most golfers hit the ground on their first attempt because they can’t sense how long the Speed Stik is compared to a regular golf club. I like to see my golfers swing as hard and fast as they can to increase their capacity for speed. Make sure to check the gauge on the, which measures your clubhead speed. It’s relatively accurate and is a good way to monitor your improvement. It’s the same deal as with the Power Fan — swing opposite handed to stay away from muscle imbalance. See Photos 11-14 to see me going full-out with the Speed Stik. Do these three drills on a regular basis and you will become stronger, faster and more explosive for golf, with more speed and power — and you’ll thank me for those extra yards!